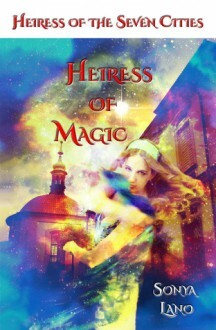 Genre: romantic fantasyIn the city of mages, a guild slave dances, magical stars drifting from her hair that whisper secret persuasions into the minds of those watching. Every evening she writes down her memories before a shadow in the night takes them. This is where the division begins.For centuries, the walls of the Seven Demesnes have protected men from weirs and shadow-hungry alike. But those eager for the walls to come down are ready to strike, and those who must defend them stand divided. Guild plots against ruler. Mage plots against mage. The powerful vanish. The weak are enslaved. The survivors keep secrets.When a mage is murdered, blame is thrown – on the wrong person. Lines are drawn – in the wrong places. Unions are made – with the wrong allies.And when the enemy strikes, not one is prepared.